Planning a Florida Keys or Key West vacation? Get your fill of Key West watersports, partying and sunsets, but don’t overlook the islands’ lesser-known gems that can take your vacation from “That was fun” to “HOLY *&%$! !” We mean, in case you were wondering, activities like Overseas Aero Tours or Seaplanes of Key West or the Dry Tortuga trips from Yankee Freedom. 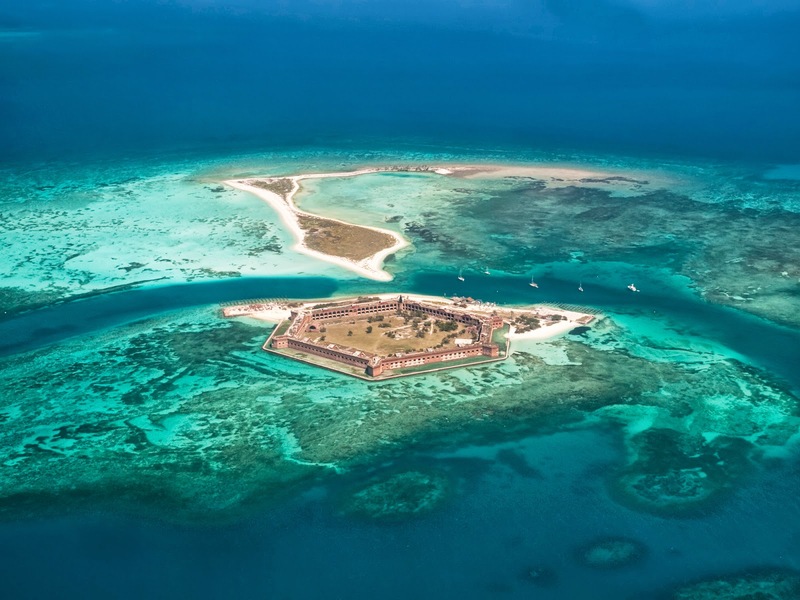 Just 70 miles west of Key West, FL lies North America’s most inaccessible National Partk, the Dry Tortugas. The park is Renowned for it’s marine life, pirate legends and sheer unspoiled and natural tropical beauty. In the center of the island, the majestic Fort Jefferson, the largest brick building in the western hemisphere lies within this tropical paradise. You can get there by taking The Yankee Freedom or the Seaplanes of Key West. Overseas Aero Tours is located in Marathon and provides biplane rides showcasing the glittering beauty of the Atlantic and the lovely little islands we call the Florida Keys. Captain Brad Neat will take you and a friend up to dizzying heights in his lovingly maintained 1940 Waco UPF-7, where you’ll have access to stunning views that most Key West vacationers never get to see. Choose from a quick eight to 10-minute tour of Marathon or triple that time and check out Sombrero Light. Longer tours (up to 60 minutes) are also available. The coolest part? 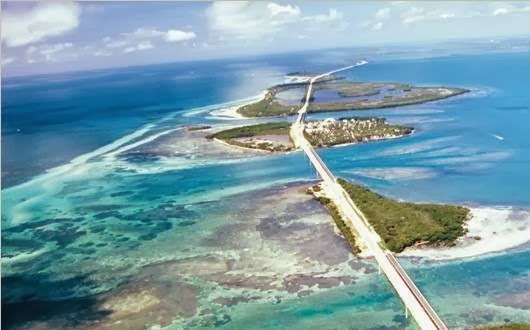 Many Florida Keys and Key West locals never get to see the kind of sights you might glimpse when you’re up in the air. The famous Seven-Mile Bridge, lighthouses, and aquatic life such as sharks, manatees and sting rays are just a few of them – who knows what will make an appearance during your trip? Keep your camera handy (but hold on tight!) and capture the colorful wonder of the Florida Keys from above. Marathon is just a short (30 minutes) drive from Key West, making Overseas Aero Tours a wonderful and exciting way to spend a morning or afternoon during your time in the Florida Keys. If you rent a car for your Key West trip, it’s the perfect opportunity to roll down the windows, turn up the radio and revel in the salty air and bright sunshine of the beautiful and unique Florida Keys. Sound like just the thing for your Key West vacation? Keep in mind that while you don’t need reservations, it’s best to call ahead if you’re on a tight schedule. Pay with cash or credit cards, bring a camera (with a strap! ), and remember – safety first. Kids under 12 must be accompanied by an adult, and Overseas Aero Tours reserves the right to refuse service to passengers who do not meet their weight requirement. Call to discuss any concerns before arriving and avoid any disappointment during your trip to the Florida Keys and Key West. Happy travels! To find your Key West Party location for Key West, Florida go to: http://www.PartyInKeyWest.com.